Of course integers, floats, int1's and more can be used just as easily as values. CCS is a leading worldwide supplier of embedded software development tools that enable companies to develop premium products based on Microchip PIC® MCU and dsPIC® DSC devices. Complete proven tool chains from CCS include a code optimizing C compiler, application specific hardware platforms and software development kits. CCS' products accelerate development of energy saving industrial automation, wireless and wired communication, automotive, medical device and consumer product applications. Established in 1992, CCS is a Microchip Premier 3rd Party Partner. For more information, please visit http://www.ccsinfo.com. PIC® MCU, MPLAB® IDE, MPLAB® ICD2, MPLAB® ICD3 and dsPIC® are registered trademarks of Microchip Technology Inc. in the U.S. and other countries. 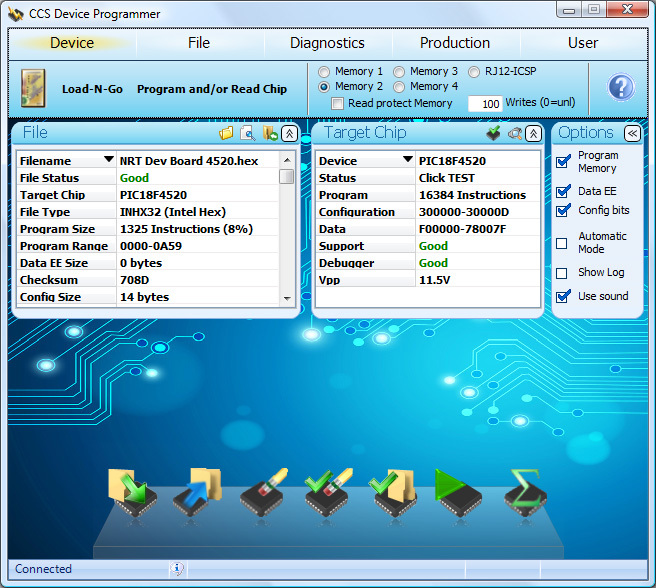 The Microchip PIC12(L)F1612 and PIC16(L)F1613 PIC® MCUs have recently been added to the PCM compiler. Some of the unique peripherals that these devices have are an 8-bit Digital-to-Analog Converter (DAC) Module, a Zero-Cross Detection (ZCD) Module, a Cyclic Redundancy Check (CRC) Module, a 24-bit Signal Measurement Timer (SMT) and a Windowed Watchdog Timer (WDT). All are fully supported by the compiler's built in functions. These devices are the first Midrange 8-bit class chips to have a CRC hardware module. 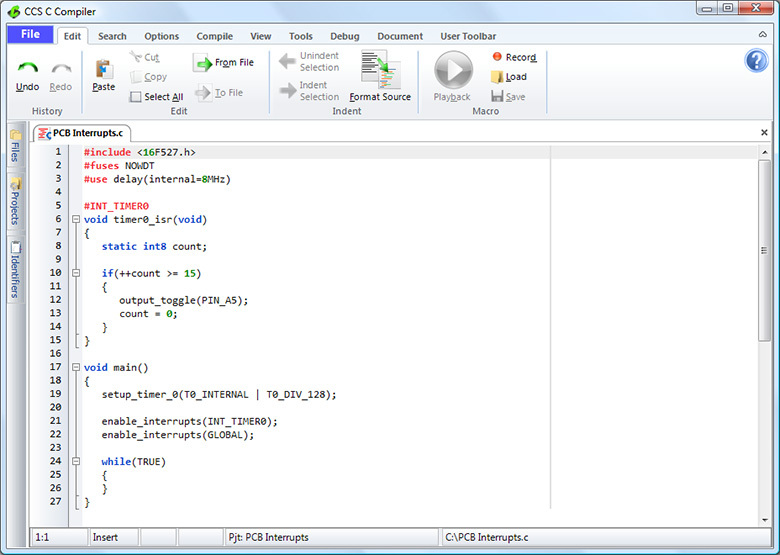 The CRC module has a configurable 17 bit polynomial, standard or reverse bit order and software loadable data registers. The CCS C compiler provides the following functions for setting up and using the CRC module: setup_crc(), crc_init() and crc_calc(). The setup_crc() function is used to set the CRC polynomial, for example setup_crc(16, 15, 2, 0); will set the CRC polynomial of x16 + x15 + x2 + 1. The crc_init() function is use to set the starting value, and the crc_calc() function is used to calculate the CRC. The SMT peripheral is a new peripheral that can be used as a 24-bit timer, or it can be setup to measure a variety of digital signal parameters such as pulse width, frequency and duty cycle, and the time difference between edges on two signals. The CCS C compiler provides the following functions for setting up and using the SMT module: setup_smt1(), setup_smt2(), smt1_start(), smt2_start(), smt1_read(), smt2_read(), smt1_write(), smt2_write(), smt1_status() and smt2_status(). The setup_smt1() and setup_smt2() functions are used to setup the SMT1 and SMT2 peripherals. The smt1_start(), smt2_start, smt1_stop() and smt2_stop() functions are used to start and stop the SMT1 and SMT2 peripherals. The smt1_read() and smt2_read() functions are used to read the SMT1 and SMT2 captured period and captured pulse width registers. The smt1_write() and smt2_write() functions are used to set the SMT1 and SMT2 timer and period registers. The smt1_status() and smt2_status() functions returns the status of the SMT1 and SMT2 peripherals. 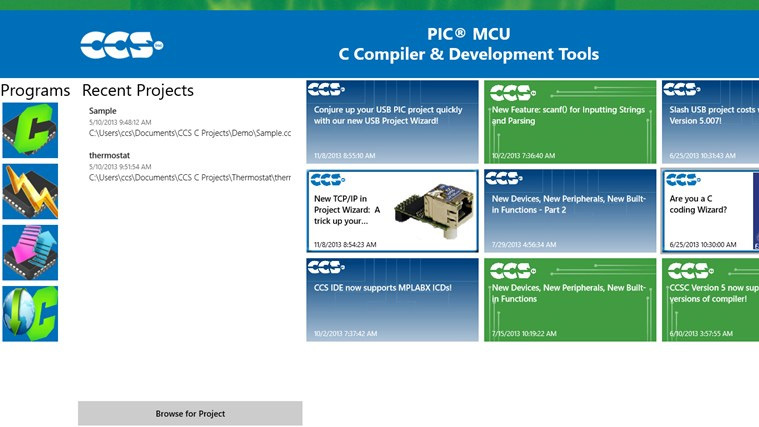 We invite you to visit the CCS Devices Supported page for more information on the devices that the CCS C Compilers support. Feel free to visit the Compiler product pages for more information as well. Track Project Time with the New Project Watch! The new Project Watch utility within the CCS C-Aware IDE makes keeping track of project development easier than ever! The Project Watch tool provides the user detailed log information on the current working project. Time-management can be viewed through either a 'Daily Activity' log, including total editing and debugging time, or 'Specific Activity' log containing time the specific activity occurred. 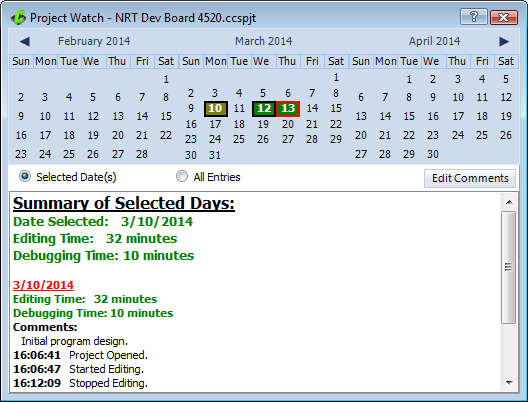 View logs, contained in the Project Watch tool by selecting between two view modes: 'Selected Date(s)' or 'All Entries'. The 'Selected Date(s)' view shows the log information for the currently selected day(s) on the calendar. The 'All Entries' view shows the entire log that has been collected for the project, including a summary of the log and detailed information separated by each day. Additionally, comments can be added or modified to a Project Watch log from a pop-up menu by right-clicking on any date that contains log information. Any changes to the comments will be saved to the project log and displayed in the log information window. The Project Watch feature is available under the 'View' ribbon in the IDE. Fast and Easy Programming with Prime8 and LOAD-n-GO! The Prime8 firmware v.1.14 and LOAD-n-GO firmware v.1.22 software updates introduce many new features! Enhancements to minimum and maximum programming limits and slot file naming makes programming with the Prime8 and LOAD-n-GO easier and faster than ever. Both the Prime8 and LOAD-n-GO Programmers offer the ability to store programs to a specific slot, for rapid deployment using the on-board Flash. The firmware update to these programmers now sets the default maximum writes per slot to 'unlimited'. This feature provides the user complete control over the programmer with the flexibility of any number of writes to the target. The maximum writes per slot can be modified using the CCSLOAD Programer Software v.5.00. The Prime8 now allows users the ability to save a file name to the internal memory slot and enable or disable file names displayed on the LCD. This feature enables the user to easily find the slot, and readily program versus having to remember which slot you programmed a file to. To update the firmware on the Prime8 or LOAD-n-GO simply connect either programmer unit to your PC and open the CCSLOAD Software. From the 'Diagnostics' tab select the 'Update Firmware' button. From the drop-down menu select the latest firmware version and select the 'Load Firmware' button. You will now have the latest firmware version installed to access these neat, new features. Fast and Easy Programming with CCSLOAD! CCS is now undergoing beta testing for the latest version of the CCSLoad Programmer Control Software, available on our downloads page! New features include: Auto Programming and Improved Logging! In addition to a new look, we have added an improved automatic programming mode which makes it fast and easy to program multiple devices sequentially. 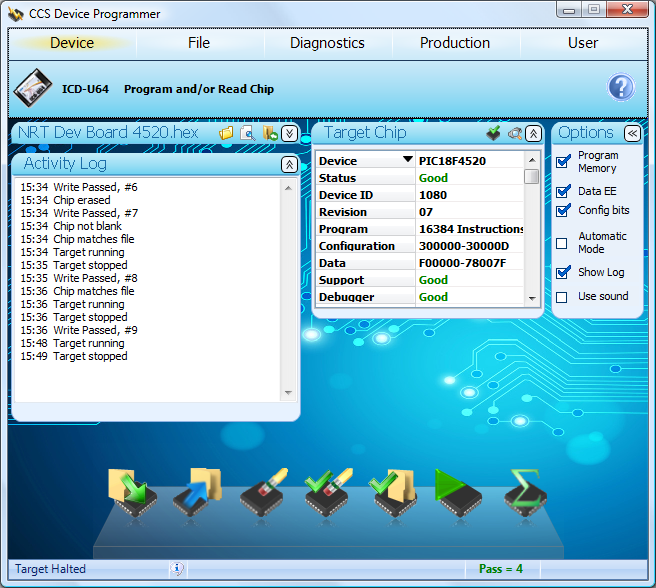 In this mode, the target device is automatically detected and programmed with the selected file. After programming, you are instructed to disconnect the target and connect another, repeating this cycle until you disable the automatic programming mode. We have also improved the logging and viewing of specific log information. You can now view log information from a panel in the software. This is especially useful when writing target chips with serial numbers, as the serial number data is displayed for each target that is programmed as it is programmed. Microchip Technology's newest 12-bit PIC® MCUs include the long awaited feature of interrupts in the baseline family. The PIC16F527 and PIC16F570 have Timer 0, ADC, Comparator and Interrupt on interrupts and are fully supported in the latest version of the CCS Compiler. Interrupts can be enabled, disabled, and interrupt service routines are created the same way in the PCB compiler as they are in PCM, PCH and PCD compilers. The Identifier Explorer feature in the C-Aware IDE allows for a quick and easy way to view the relationship between program identifiers. For example, which variables and functions are declared in each file, or to see all functions that access a global variable. This screen shot shows for a single function [fat_init()] all global variables accessed, as well as, local variables and functions called. To access the Identifier Explorer tool simply click on the "View" tab and select "ID Explorer". In the "Defines" tab you can test the macros defined in your code and newly defined macros through the ID Explorer. An advantage of this feature is the ability to test your macros without needing to completely recompile or reprogram. Through the "Files" tab you can easily view "Global" variable and functions in each file of the project. This is handy for locating where all your functions and variables are in the code. 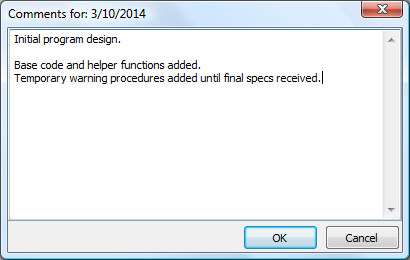 Even with User Account Control disabled, you will sometimes need to run the IDE as administrator. For example if you change the installation files. Note that even though you are the administrator it does not mean the program will run as administrator. You will have to manually select "Run as administrator" yourself. To run as administrator simply right-click the Compiler icon on the desktop and select: "Run as administrator"
Running the installer may also require running as admin. Access to the CCS C Compiler: Easily launch the compiler from the app with a single click! Launch CCSLOAD: For quick programming of chips! Automatic Alerts: For updates for CCS software tools! Recent Projects: Easily open a project from the file directory where C projects are saved. News Articles: Find the most recent news articles from CCS all in one place. Catch up on the latest CCS has to offer with this handy feature! The CCS Windows 8 App and Compiler Software Products are compatible with Windows versions 8 and 8.1. Easily setup your PIC® MCU clock with #use delay(). This article takes a deeper look at how to set the various oscillator fuses and oscillator registers to get the clock speed specified in #use delay(). Projects get a jump start with #use delay() accepting simple keywords: CRYSTAL, OSCILLATOR, INTERNAL and RC in addition to, or in-place of, the keyword CLOCK to setup the clock. When using the #use delay to configure your oscillator it is not recommended to include oscillator related #fuses in your code, or the use of setup_oscillator() unless you need to change the oscillator run-time. The Editor in the V5 IDE has a column editing feature. This is useful if there are several lines that start or contain the same block of text but need to be replaced or edited. To use this feature, press the CTRL key on the keyboard while using the left mouse button on the mouse to select a block of text. Pressing DEL will delete that block of text, or typing will replace the text within the block with new text you type on each line. This can also be used to simply insert he same text at a given spot on a group of lines. To do that select a thin column where you want the text inserted.